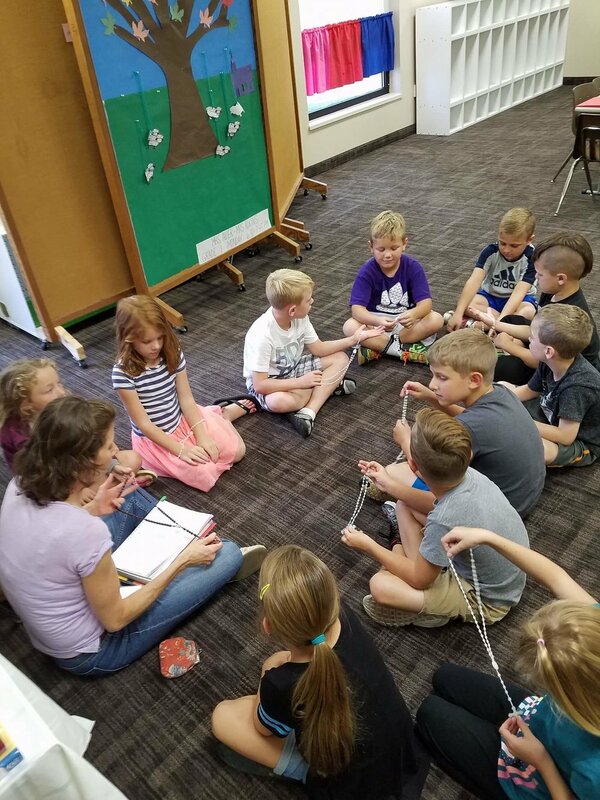 Religious education at Seton Parish is designed to promote catechesis and education as a solid foundation that children can carry with them into adulthood. This is accomplished by teaching and fostering formation through Sacred Scripture, doctrine, and Tradition of the Roman Catholic Church. We strive to model Catholic practices and values and promote participation in liturgical worship and the sacramental life of the Church. We are committed to providing an environment that will allow children to learn, experience, and grow as members of our Catholic community. A comprehensive religious education program for grades K-12 based on the curriculum of the Diocese of Columbus. Each year’s curriculum builds upon the previous one. Full sacramental preparation for First Communion, First Confession and Confirmation. Catechesis and sacramental preparation for children with special needs. Classes for children, who for whatever reason have not previously been enrolled in religious education, to bring them up to date in their grade level including reception of the sacraments. The means to help build a strong Catholic identity for you and your family. Adult faith formation to enrich your faith as you strive to provide a Catholic home. Mondays: 6:30 p.m. - 7:45 p.m.
Tuesdays: 6:00 p.m. - 7:15 p.m. If you have further questions, please contact Mary Jane Sobczyk, our Director of Religious Education. To register your child, please complete our registration form and return to the Religious Education office.